Firefighters battled a barn fire for two hours late Friday night. According to Topsfield Fire, Wenham Fire responded to Topsfield Road in Wenham, Massachusetts after receiving a call just before midnight. 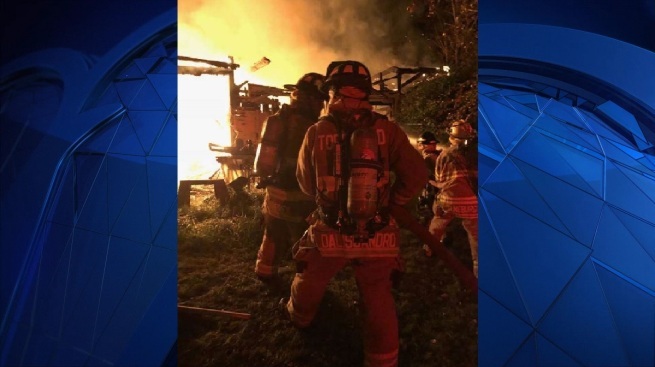 The fire fully involved the barn and was threatening a shed and home on the property when Wenham Fire arrived at the scene, Topsfield Fire said. Officials remained at the scene for two hours, attacking the fire, preparing for imminent building collapse and overhauling the fire to completely extinguish it, Topsfield Fire said.